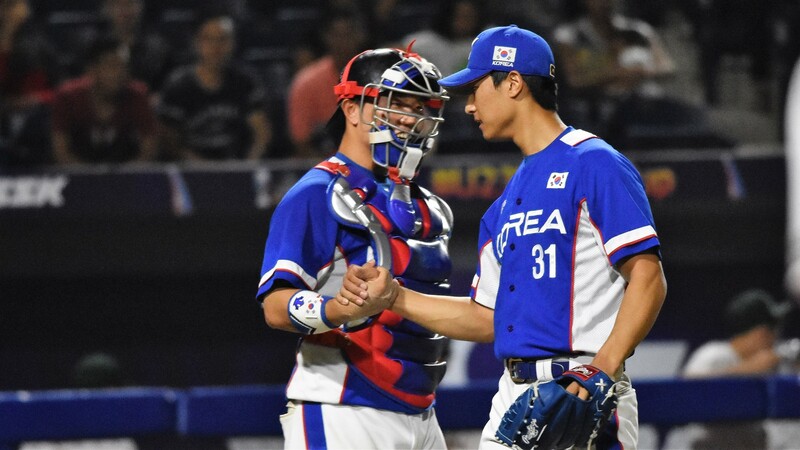 Korea beat Mexico, 3-2, after a very close game and earns the right to play for third place in the U-23 Baseball World Cup. Korea will face Venezuela at 1 pm local time on Sunday, 28 October. 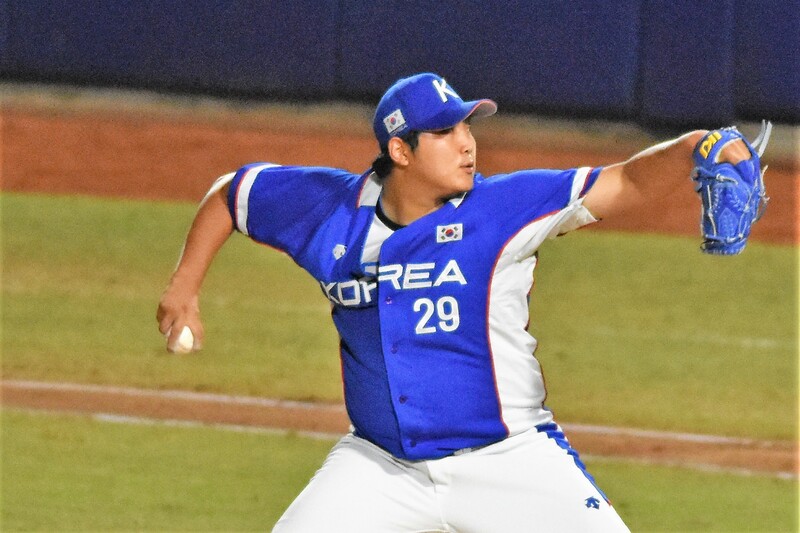 Korea was led by very consistent pitching: starter Ryu Hee went 7.1 innings and allowed only two runs. Reliever Yi Jung Yong got the final five outs allowing only one hit. Pinch hitter Choe Tae Seong batted in the go ahead runs in the top of the sixth. Mexico scored all the runs of their night in the bottom of the third. Norberto Obeso doubled to left center and advanced on an infield hit by Walter Higuera. Marco Jaime and Alan Garcia produced the two runs with back to back singles, but Roberto Valenzuela grounded into an inning ending (and rally stopping) double play. 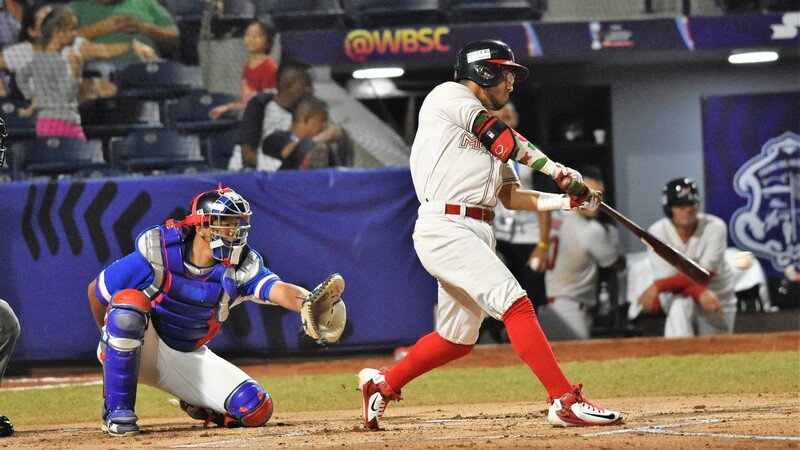 Slugger Kim Min Yeok hit a double on the first offering of the sixth by Mexico’s starter Saul Castellanos. Kim Chan Hyung followed with an infield hit, but Korea failed to advance the runners with a sacrifice bunt. Castellanos walked the bases loaded and then got the second out on a fly by Hwang Kyeong Tae. 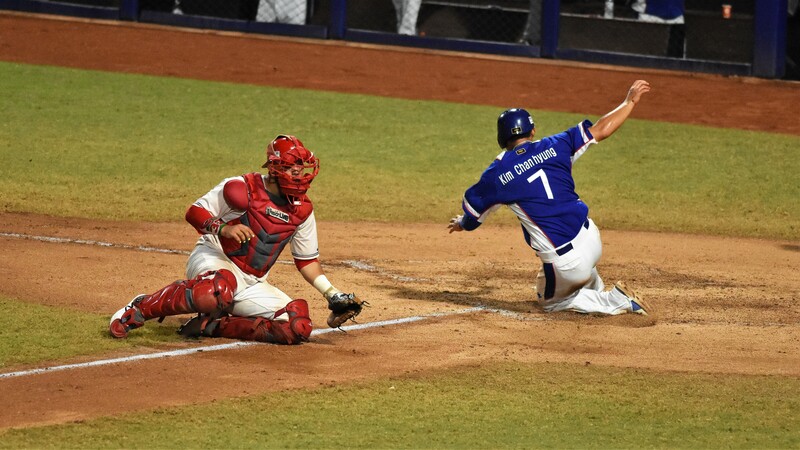 The ball was deep enough to allow Korea to score the first run and a bad throw moved the runners. 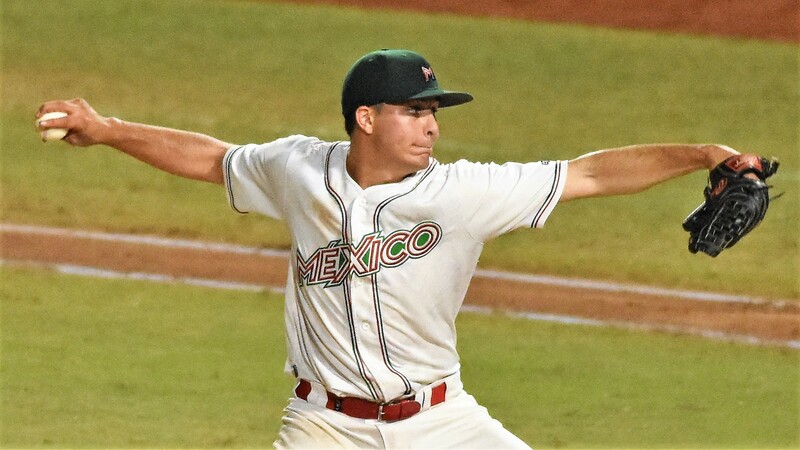 Mexico gave the call to Esteban Bloch in the bullpen and Korea sent pinch hitter Choe Tae Seong to face him. A broken bat single reversed the lead. 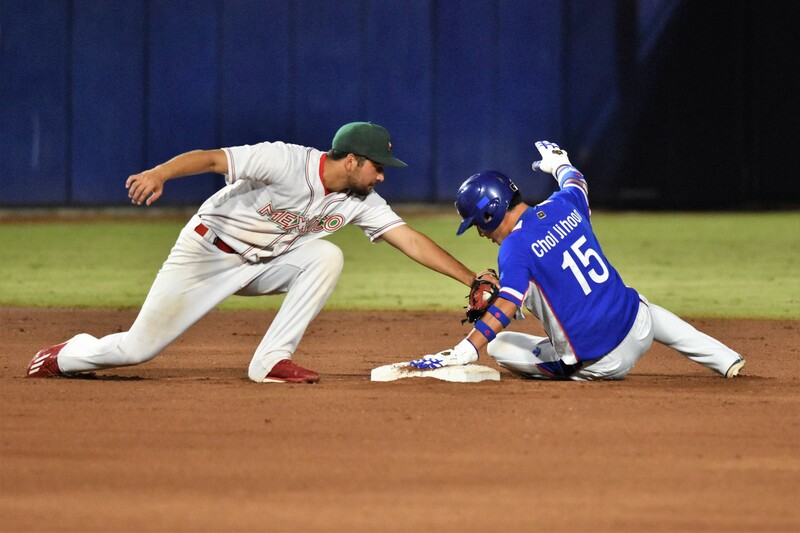 Mexico bunted a runner in scoring position in the seventh and in the ninth, but both Ornelas and pinch runner Fabricio Macias couldn’t advance any farther. The loss does no damage to Mexico, that will play the World Title game on Sunday, 28 October, at 7 pm local time against the defending champions Japan.